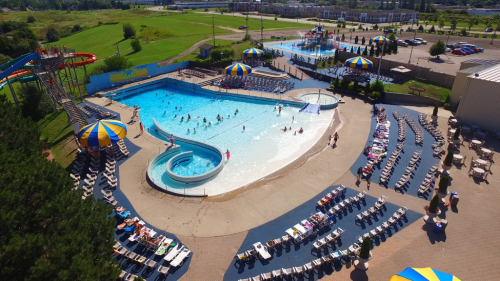 Located along the Grand River, Bingemans Camping Resort offers a camping oasis that is just a short drive to Toronto, Hamilton, London, Cambridge, and Guelph. 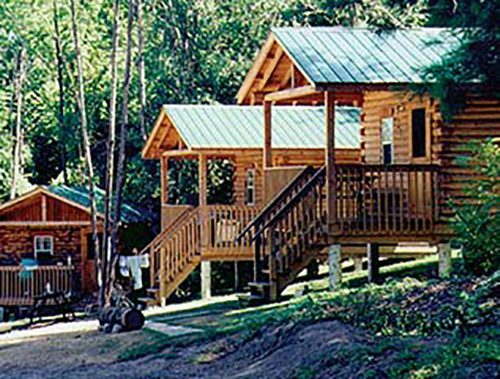 With over 450 campsites, there are many options to fit your needs! 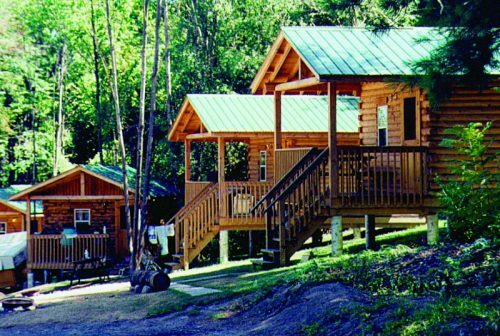 From no hook-up to full service sites, as well as pull-through sites for RVs, Bingemans Camping Resort has something for every kind of camper! 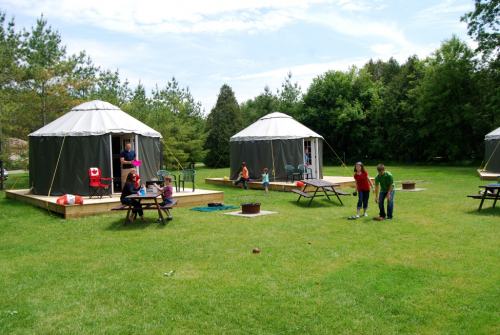 There is so much to do for all ages at Bingemans Camping Resort! 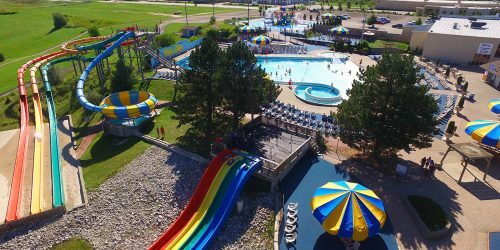 Relax in the natural woodland setting, or get ready for a day of fun while enjoying Bingemans’ other attractions including Big Splash, FunworX, Kingpin Bowlounge, Boston Pizza, mini golf, and more. Choosing Bingemans for your camping trip means you are within minutes of the St. Jacobs Farmers’ Market, the Cambridge Butterfly Conservatory, and many of the festivals and attractions hosted throughout Waterloo Region including the Sunlife Financial Uptown Waterloo Jazz Festival, TD Kitchener Blues Festival, and Kitchener-Waterloo Oktoberfest. Camping at Bingemans also puts you right on site for the annual Ever After Music Festival. Bingemans Camping Resort is a great choice for group events such as camping rallies, family reunions, scout troops, and church outings. They also have meeting and event space for groups up to 1800 in their convention facilities, located within walking distance from the campground. If you require assistance planning your trip, or have questions on how to maximize your time sightseeing in Waterloo Region, Bingemans’ experienced resort staff can assist you! From special bookings, arranging off-site trips, to answering each of your questions, the team will have the information you need upon your arrival, or stop by the office anytime to ask questions. Check availability and book online! Campsite check-ins begin at 2 p.m. and check-out is 12 p.m. For cabins, check-in is 3 p.m. and check-out is 11 a.m. Enjoy your stay at Comfort Inn Waterloo. Guests will enjoy a night in our fully renovated rooms, meals at our attached Angel's Family restaurant and using the Internet with our upgraded complimentary WiFi service. 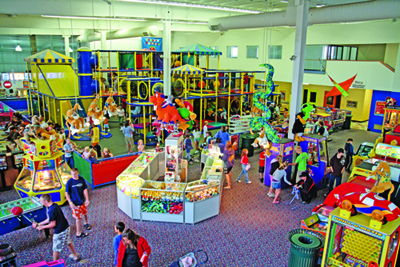 A central location in Waterloo, guests are often within minutes of local attractions. Located in the Market District of downtown Kitchener and within walking distance to many restaurants and local attractions, the newly renovated Crowne Plaza Kitchener-Waterloo is designed with modern style and amenities to help guests relax, rest and connect. Good food - friendly service. Established in 1860 as a stagecoach stop, The Heidelberg Restaurant is renowned for its generous servings of ribs, pigtails, smoked pork hocks, sausages, schnitzel and sauerkraut.